With cross-border tensions between the two Koreas seeming to increase daily, the Republic of Korea's (ROK) SAM network is a significant element in protecting its citizens and infrastructure from hostile forces. Currently undergoing a deep modernization, the ROK's SAM network represents a significant facet of the nation's defense against air and missile attack. The ROK's SAM force is operated by the Air Defense Artillery Command. The Air Defense Artillery Command became part of the ROK Air Force in 1991, previously being subordinate to the ROK Army. The ROK Air Force also controls the EW radar facilities throughout the nation. 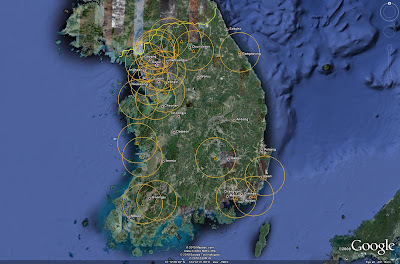 EW radars report information to the ROK Air Force's Master Control Reporting Center, which is responsible for managing the airspace above and around the peninsula.Additional SAM assets available to defend ROK airspace are operated by the US Army. 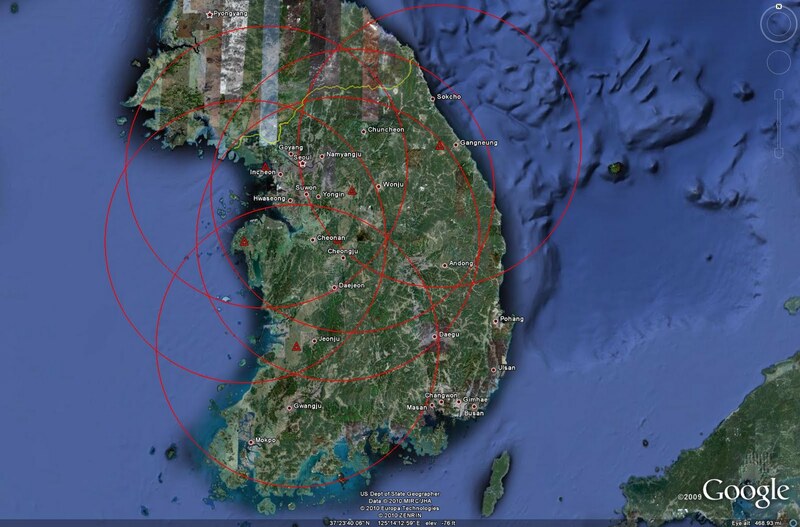 Early warning coverage of the ROK is provided by seventeen identified EW sites. 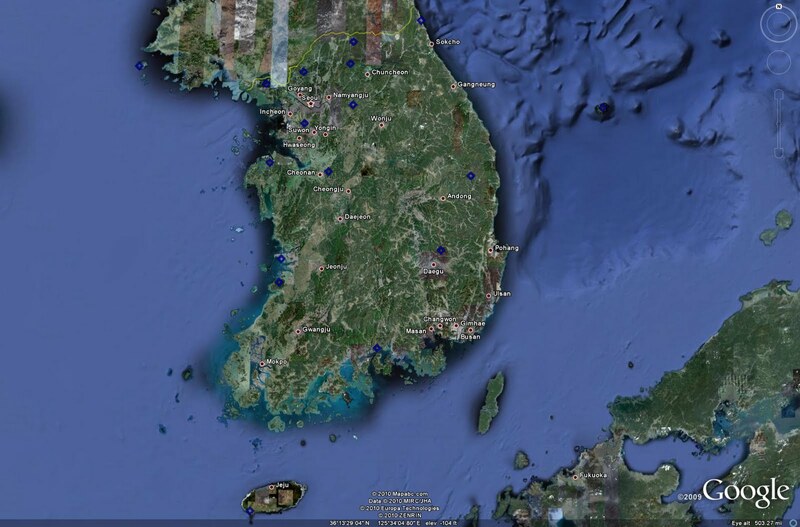 Five of these sites are positioned along the DMZ, with a further three positioned on the islands of Baegryeong-do to the west, Ullung-do to the east, and Cheju-do to the south. EW coverage will be bolstered in the near future with the introduction of four Boeing 737 PEACE EYE AEW&C platforms, the first of which was handed over to KAI at Sacheon in February 2010 for radar integration. The most numerous SAM system employed in the ROK is the MIM-23 HAWK. The 40 kilometer range missile system is deployed at twenty three locations spread throughout the peninsula. While the HAWK is technically a mobile, tactical SAM system, it is employed in a strategic capacity by the ROK, being emplaced at fixed, hardened locations containing both the missile launchers and the guidance radars. The primary long-range strategic SAM system employed by the ROK is the Nike-Hercules. Six sites remain operational in available imagery, primarily situated in the northern third of the nation. Nike-Hercules batteries are each split between two locations, one hosting the guidance radars and another hosting the actual missile battery. While the Nike-Hercules boasts a range of 155 kilometers, an impressive number, its effectiveness is in doubt. Recent incidents have suggested that the missile may no longer be a viable weapon system, causing the ROK to pursue other options. In fact, due to the varied dates of imagery available to analyze the individual battery locations, some (or all) of them may already have been withdrawn from use. 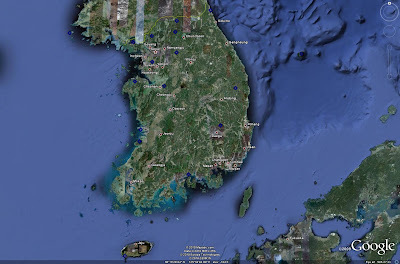 However, as no reporting has been located to suggest that the Nike-Hercules has been fully withdrawn by the ROK, those sites which remain active in available imagery are noted here. Nike-Hercules may remain a significant weapon in the ROK's arsenal following retirement from the air defense role. Two SSM variants have been developed, with ranges of 150 and 180-250 kilometers. These systems are referred to as Hyunmoo I and Hyunmoo II, and may be sited at existing Nike-Hercules facilities as they can employ the same launch systems. Interestingly, the northwestern Nike-Hercules site west of Inchon is 180 kilometers from P'yongyang, and does not appear to have a guidance radar facility nearby necessary for surface-to-air operations. 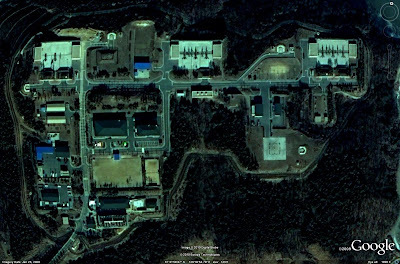 This facility may represent an operational Hyunmoo SSM base, and was apparently constructed between 2004 and 2008. It is unlikely that the ROK would construct such a significant facility merely to support a SAM that was already overdue for replacement. To bolster the air defense of the ROK, the US Army began deploying Patriot strategic SAM batteries to the peninsula in the 1990's. US Army Patriot batteries began to be upgraded in 2003 with the addition of the PAC-3 missile, optimized for the ATBM role. The PAC-2 missile has a range of 160 kilometers, with the PAC-3 having a range of approximately 30 kilometers due to its significantly smaller airframe. There are currently eight Patriot batteries assigned to the ROK, with active batteries located at Osan (two), Suwon (two), and Kunsan (one) airbases. 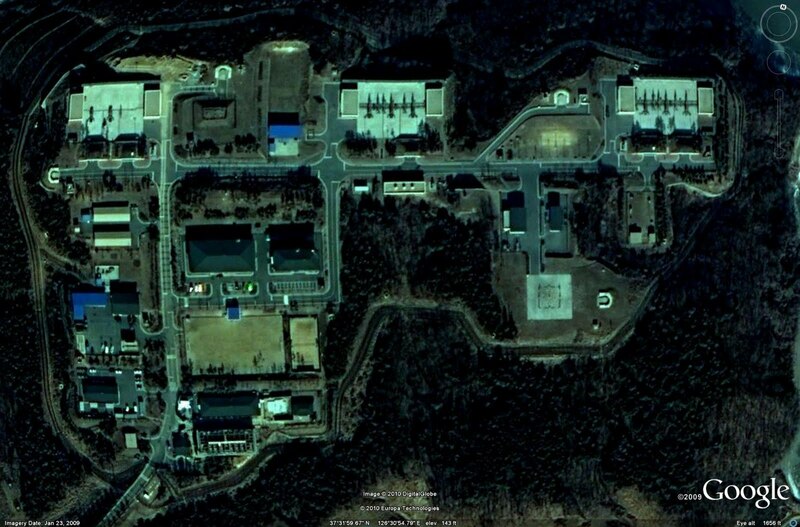 A sixth active battery was briefly located at Gwangju airbase in October of 2004, but was relocated by December of 2006. Despite the protests from anti-American elements when the battery was sited at the Korean airbase, the US Army had never intended the relocation to be permanent. 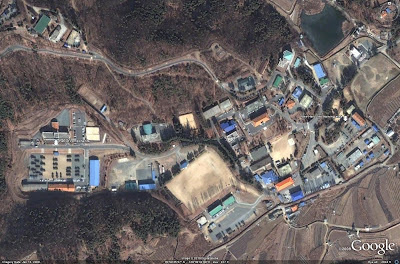 It relocated to Camp Carroll near Daegu, where it remains garrisoned with the other two batteries assigned to the ROK for future deployment when required. Each Patriot battery is typically deployed with eight TELs and a guidance radar. 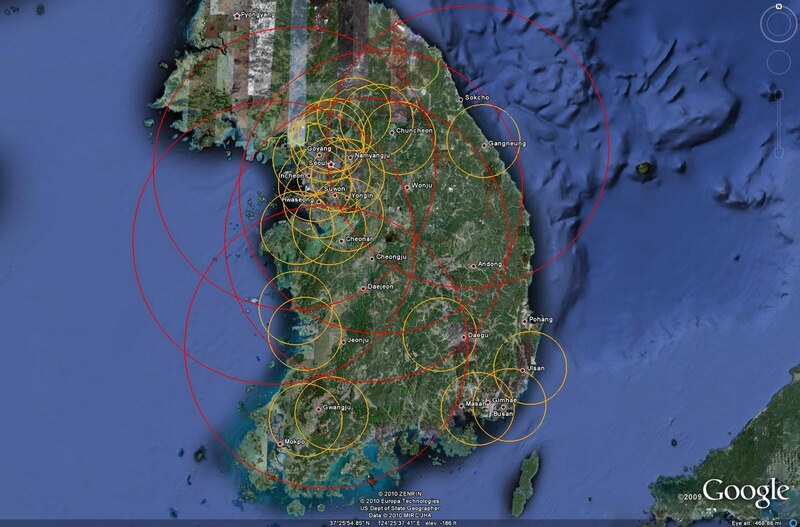 The locations and coverage zones of US Army Patriot batteries deployed in the ROK can be seen in the image below. 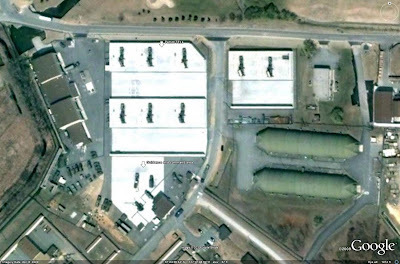 The Camp Carroll garrison facility is also annotated. The ROK began to investigate purchasing its own Patriot missile systems in the 1990s. The SAM-X program was initiated in 1990 to find a successor to the Nike-Hercules. Due to financial and political reasons, the program did not bear fruit until 2007, when a decision was made to purchase second-hand German PAC-2 batteries. The first ex-German Patriots were delivered in 2008. They will serve in a trials capacity before being operationally deployed in 2012. 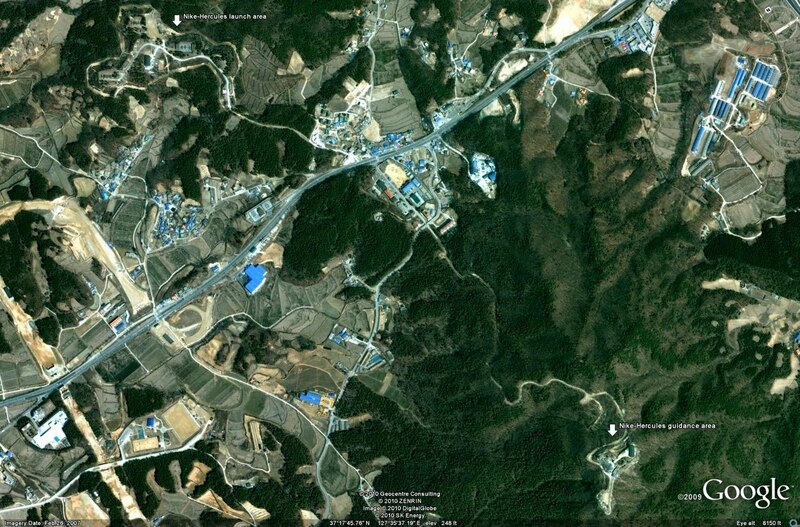 A SAM training facility southeast of Daegu was expanded between 2003 and 2007. The timing is significant as this was when the ROK government was still investigating its options for SAM-X, and by this stage had decided to focus on a variant of the Patriot system. 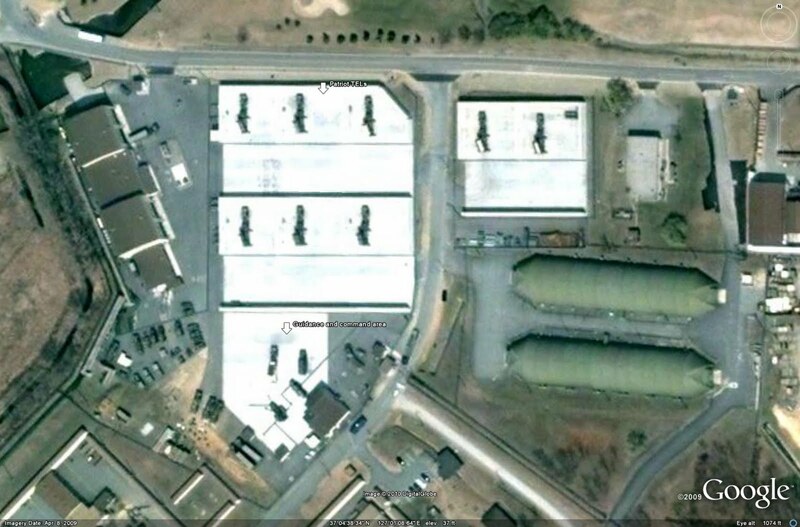 This facility, which likely trains ROK SAM operators as evidenced by the presence of Nike-Hercules equipment, was hosting Patriot equipment in January of 2009. This likely represents the first sighting of ROK-operated Patriot equipment in imagery. Unconfirmed reporting suggests that the ex-German Patriot systems have been deployed near Seosan, Suwon, Incheon, and Gangneung. This report first appeared in September of 2008, coinciding with the first deliveries of Patriots to the ROK. Sighting ROK Patriot equipment at the training facility near Daegu suggests that it was not deployed directly after delivery as the report suggests. With the exception of Suwon, these locations all feature Nike-Hercules batteries. While Patriot deployment has not been confirmed at these locations, they do represent logical deployment sites in the future once crews have been trained and the sites have been reconfigured to support Patriot batteries. On paper the ROK's SAM network appears to be relatively robust. Sites are organized in a logical fashion, often enjoying overlapping fields of fire. Terrain concerns, particularly in the areas closest to the DMZ, are largely alleviated by placing many of the sites at high altitude atop mountain ranges. The bulk of the ROK-operated sites are consolidated in the heavily populated northwestern sector. The main problem facing the ROK's SAM network is one of quality. Nike-Hercules and HAWK systems are both legacy systems better suited for museum display than battlefield use at this juncture. HAWK missile batteries likely retain a degree of effectiveness thanks to numerous upgrades being available during their service lives, but they lack the range to effectively protect the peninsula. 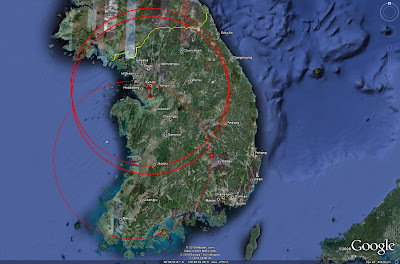 Cognizant of the deficiencies of the HAWK system in the 21st Century, original plans called for the replacement of ROK HAWK batteries by 2010, a deadline which will not be reached. By 2012, Nike-Hercules batteries should be withdrawn in place of Patriot batteries, providing a significant upgrade to the ROK SAM network in terms of overall capability. In the future, the ROK's SAM network will see significant changes. First and foremost, the ROK will no longer rely on the ineffective Nike-Hercules for long-range air defense, with Patriot batteries replacing these systems in 2012. Whether the withdrawl of Nike-Hercules SAM batteries will affect the Hyunmoo programs is not known at this time. A replacement for the HAWK is being co-developed with the Russian Almaz design bureau, and is slated to complete development in 2011. This system, codenamed KM-SAM or Cheolmae-II, will employ a modified Fakel 9M96 active radar homing SAM along with a modern phased array radar. KM-SAM batteries will consist of a radar vehicle, a command post vehicle, and up to eight TELs, all mounted on wheeled vehicles for high mobility. Each TEL will carry eight cold-launch missile canisters. The modified 9M96 dispenses with the original Russian design's canard foreplanes, but retains the nose-mounted reaction control thrusters. It will also employ a directional warhead, and has an advertised range capability of over 40 kilometers. The ROK also plans to create a missile defense network called KAMD, incorporating the Elta EL/M-2080 Green Pine BMEW radar, Patriot systems, and KDX-III AEGIS destroyers. Mention has also been made of an improved Cheolmae-II called K-THAAD forming part of this network. Creation of such a system is ironic given that protests over potential PAC-3 purchases were due in part to a feeling that the ROK would be drawn into a US-led anti-missile network. The ROK currently fields a SAM network that would have been state of the art in the 1960s, and effective into the early 1980s. The modernization programs underway will correct many of its deficiencies and shortcomings, allowing the network to achieve technological parity with other nations in the region and provide capable and effective defense well into the 21st Century. Hopefully the ROK's citizens will find their government's desire to defend them acceptable. SOC, How does Korea's KD-II destroyers and KD-III Aegis destroyers qualify into your equation? ROKN has 6 and 2 of each vessels in operation today. Both are highly capable assets in hundred-mile air defense. In fact the KD-III are probably the most powerful air defense ships that exist on this planet. They don't, because mapping potential naval SAMs close to the shoreline would be ridiculously labor intensive, especially for someplace like Russia or China. KD-II and KD-III do represent capable offshore AD assets, however. One fun way to use them would be to park a KD-III on either side of the peninsula parallel to the DMZ and smack inbound DPRK aircraft or missiles to take some strain off of the land-based assets. The only thing is, I don't know if they're interlinked with the land-based AD network. Target deconfliction could get dicey if they aren't. Thanks for this article. Nice to learn something about non-soviet SAM employment. It's not like North Korea has much of an airforce. They have some Mig-29s in dubious states of readiness. That's pretty much it as far as modern planes are concerned. But the bulk are copies of ancient Mig-17s and Mig-19s, as well as Mig-21s. They are no match against the south and the US. The ballistic missile threat may be more worrisome. North Korea has a significant air threat, but not because of quality or competence. They have a large air force with a ton of fighters, most of them admittedly obsolete, to throw at the South. The network will have to prosecute each and every target, and that'll complicate things. Were you able to identify which version of Hawk ROKAF uses through the batteries' formations? I agree that NK's airforce is mostly obsolete but as far as SAM's going after EVERY aircraft that would attack SK would probably not happen. First, US and SK fighter aircraft supported by both AWACS and ground bases control will scrap most if not all of NK's air force. I would label this a turkey shoot for the much better trained and equipped US/SK air forces. Second, Aegis naval assets could possibly cover every cubic foot of NK air space. With that said, I think NK would have a hard time putting an aircaft in the sky without being noticed within a minute of be launched. The threat to Aegis naval assets could come from NK's coastal submarine force or a massive volley of Silkworms. Finally, one cannot under estimate NK special forces. I'm sure radar and SAM sites, as well as general confusion is on their mission list.